It joins the mainline to the leader and can be used for mono to mono, (mostly) braid to mono and braid to fluorocarbon connections. It works with different diameters of the 2 lines. 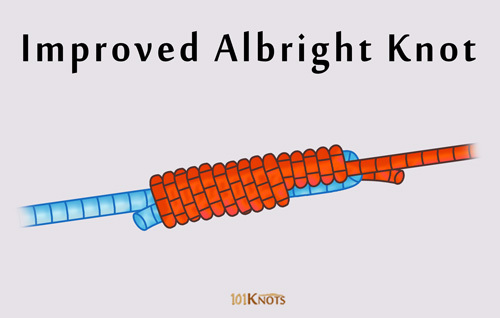 Some people find this improved version of the Albright knot easier and it is also stronger. Extra wraps passed in the leader material help in stopping the coils of the thinner main line from slipping off the end of the loop when the knot is tightened. Gently snug up the coils while tightening to keep them in order. 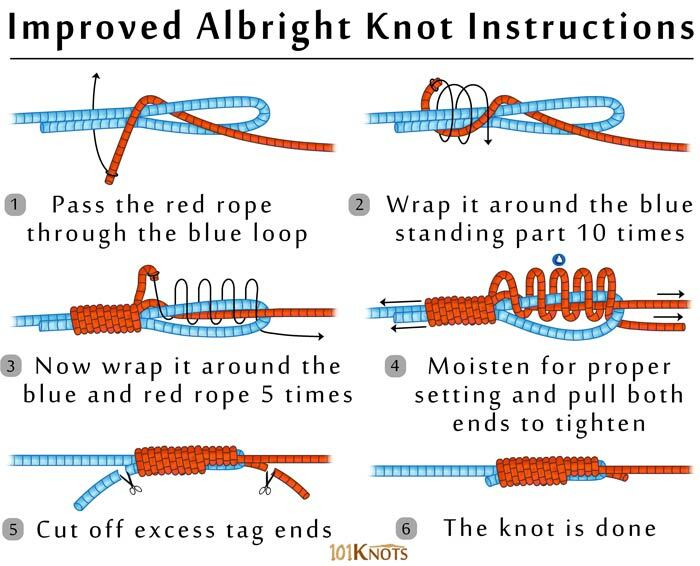 It is a good practice to test the knot before fishing.